Hot Shot! A Glorious First Preview for On Your Feet! 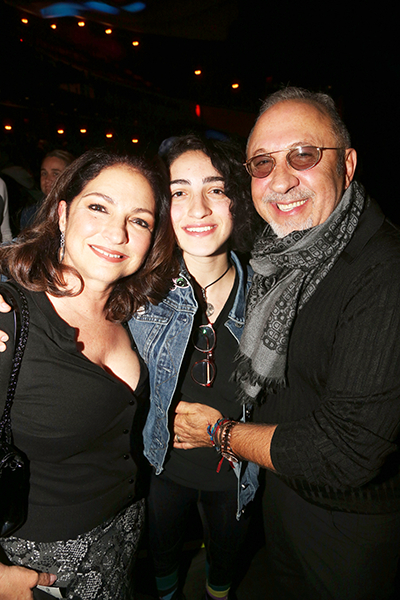 On Your Feet!, the bio musical about the rise of music-making duo Gloria and Emilio Estefan, began performances at the Marquis Theatre on October 5. We have to admit, the rhythm did get us as we conga-ed to snap this shot of the stars taking their first bow. The high-energy musical officially opens on the Great White Way on November 5. The Estefans were over the moon that their show is (yes!) on its feet, and they were also super excited that their daughter, Emily Marie Consuelo, surprised them. See below for the sweet family shot.